If you have begun to notice small, slender insects crawling around your property, there is a chance that you may be experiencing a silverfish infestation. Unfortunately, these hearty insects can be very difficult to exterminate once they have invaded your property. With assistance from a bug exterminator in Crystal Lake , however, you will be able to completely remove bothersome silverfish from your home. To highlight the importance of bug control, here is an overview of some essential facts about silverfish. 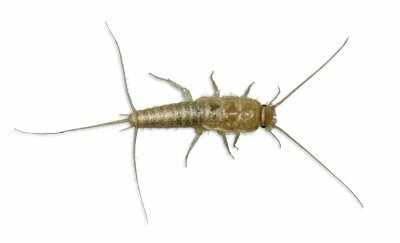 In order to identify a silverfish problem in your home, you may want to look out for their unique behavior patterns. Unlike cockroaches and other common household insects, silverfish never evolved to have wings. Since silverfish are completely flightless, they can be seen scurrying and wriggling across floors, walls, and other household surfaces. Due to their unique running motion and silvery, scaly bodies, silverfish were named after a familiar aquatic animal. When silverfish invade your home, they will be drawn to moist, damp environments. A colony of silverfish requires moisture in order to survive. When your exterminator is seeking out a silverfish colony in your home, he may start by looking in moist areas, such as underneath your kitchen sink or near your bathroom appliances. In order to prevent a silverfish infestation from overtaking your home, it is a good idea to manage any plumbing leaks and other moisture-prone areas. Over the three to six year lifespan of a silverfish, the bug will shed its skin continually. When you are experiencing a silverfish infestation, you may start to notice shed skins around your property. In fact, one of the top signs of a silverfish problem is the appearance of these thin, metallic skins. If you have seen live bugs or their shed skins in your house, you should be sure to set up an extermination appointment right away.